Charlotte Rae (Williss) Olsen passed away peacefully at home on Thursday August 23, 2018. Charlotte was born in Sheridan Montana, September 26, 1934, the eldest child of George and Mabel (Koontz) Williss. Charlotte grew up in Dillon, Montana and married Fredrick Lee Olsen. The navy life had them moving back and forth across the country, until they settled in San Diego in 1968. After retirement Charlotte made it a priority to spend quality time with her children and grandchildren. She spent several years in San Diego near her daughter, Kristina (Olsen) and son-in-law, Danny Summers before she moved back to Dillon to be near her parents and her son, Fredrick Olsen, and daughter in-law, Jeannie. She enjoyed many years back “home,” then spent several years living in New Hampshire with her daughter, Jeri (Olsen-Anderson) and son-in law Brian Davidson. In 2012 she moved to Hamilton Montana, to be near her daughter Pamela (Olsen) and son-in-law James Shea, where she resided at The Remington. In 2015 Charlotte moved back to New Hampshire again living with Jeri and Brian. Known by many simply as "GM," Charlotte was adored by her large family and will be dearly missed. Charlotte is survived by her Brother Frank Williss and sister-in-law Cheryl, her eldest daughter Pamela (Olsen) Shea and Son-in-Law James. Her son, Fredrick Lee Olsen II, and daughter-in-law Jeannie, her Daughter Kristina (Olsen) Summers and son-in-law Danny and her youngest daughter Jeri (Olsen-Anderson) Davidson and son-in-law Brian, 18 grandchildren, 23 great-grandchildren and numerous nieces and nephews. Charlotte is preceded in death by her Parents, George and Mabel (Koontz) Williss, her Sister Janet Kaye (Williss) Miller, her Brother William Benton Williss, her husband Fredrick Lee Olsen I and her Grandson Zachary Arthur Anderson. Saturday September 8, 2018 at 2:00pm. A gathering will be held after the service on Aurora Lane, Dillon, Montana. 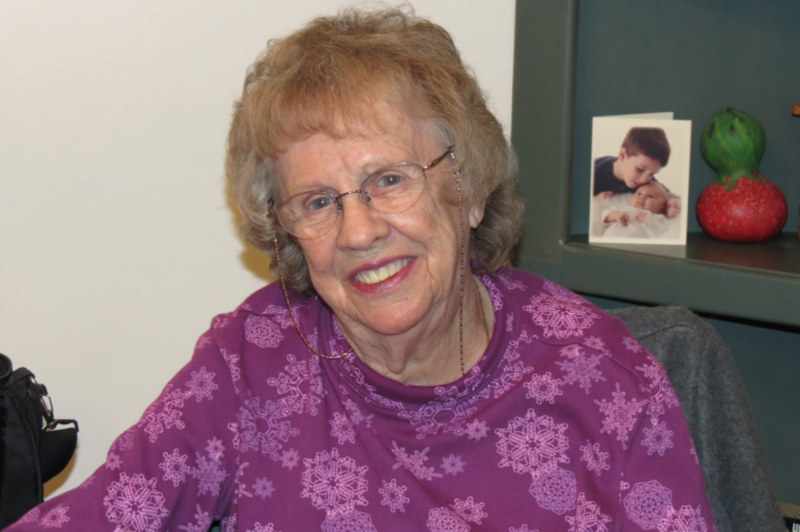 In remembrance of Charlotte the family asks that in lieu flowers donations may be made to the Central New Hampshire VNA/Hospice or charity of your choice.